Throwing it back to last month! We love April, cause that means Design Week Portland is back! Design Week Portland’s (DWPDX) week-long festival was filled with incredible opportunities to celebrate Portland’s design community, to support each other’s craft, and to learn and grow in the knowledge of design by exploring the process, craft, and practice of design across all disciplines. ACME was psyched to be involved with DWPDX for the third year in a row! In 2016 we collaborated through the buildout of components for the DWPDX headquarters and in 2017 we opened our doors for a peek into all things ACME by hosting an Open House. 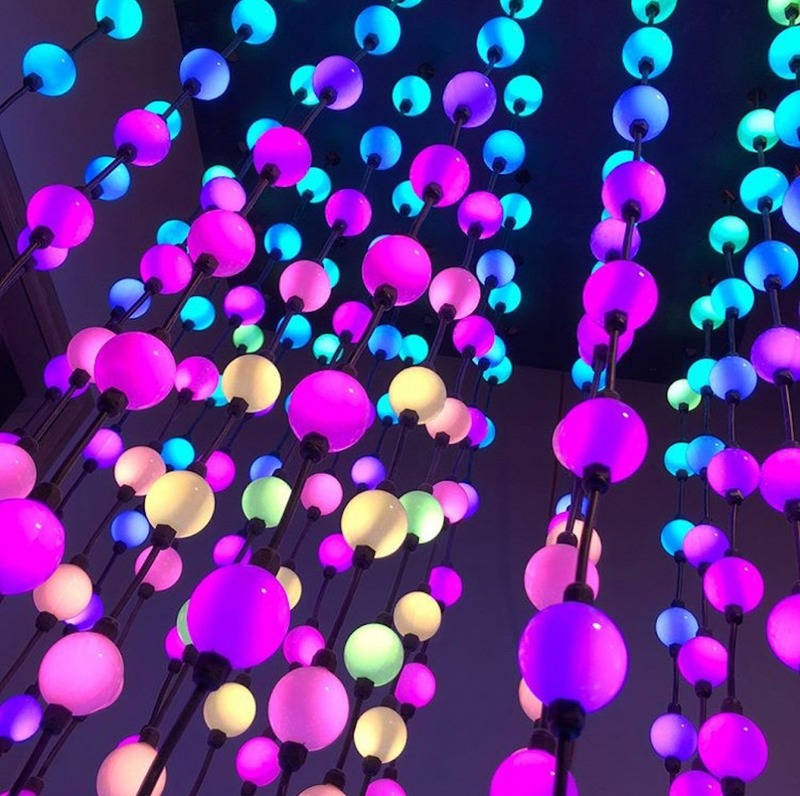 This year we provided some pretty stellar light installations for the ‘Color Therapy’ themed DWPDX Opening Party, as well as custom crafted event signage for all DWPDX events. It was a thrill to partner with Plastic Sunshine, the Lead Designer of the Opening Party! With the theme being ‘Color Therapy,’ and in the spirit of reuse, we provided our custom life-size ‘Lite Brite’ and our programed bulb installation for some interactive fun! Both items were a hit, and we couldn’t be more grateful to have helped light up the party! Additionally, we crafted event signage for use as as wayfinders to direct participants to the DWPDX events. In that same spirit of reuse, a streamlined design was created in order to utilize existing onsite materials for the build, creating sleek and sustainable signage for years to come. For our team this years’ DWPDX was about growing engagement. From perusing open houses to attending educational events, it was a great opportunity for design education, professional development, team building, and inter-industry connections. We’re grateful for DWPDX and all they bring to our community through collaboration! For more information on ‘Design Week Portland,’ visit designweekporltand.com.